Wetlands act both as filters for pollutant removal and as nurseries for many species of birds, insects, fish, and other aquatic organisms. 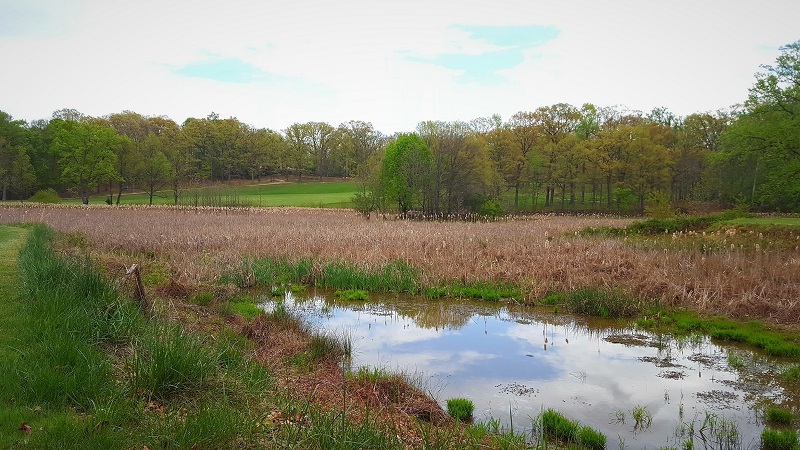 When incorporated into golf course design, wetlands should be maintained as preserves and separated from managed turf areas with native vegetation or structural buffers. Constructed or disturbed wetlands may need to be permitted to be an integral part of the stormwater management system as discussed in the Regulatory Considerations section and in the “Surface Water Management” section of this website. Ensure that proper permitting has been obtained before working on designated tidal or nontidal wetlands or 100-year floodplains. Ensure that wetlands have been properly delineated before working in and around them. 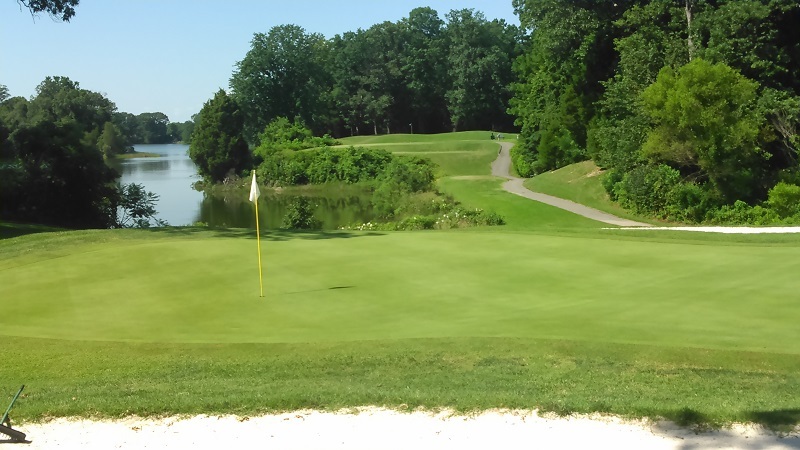 Riparian buffer at Cedar Point Golf Course located at the confluence of the Patuxent River and Chesapeake Bay. Photo credit: David Burkhart. Wetland area incorporated into the golf course design. Photo credit: Joseph Roberts. 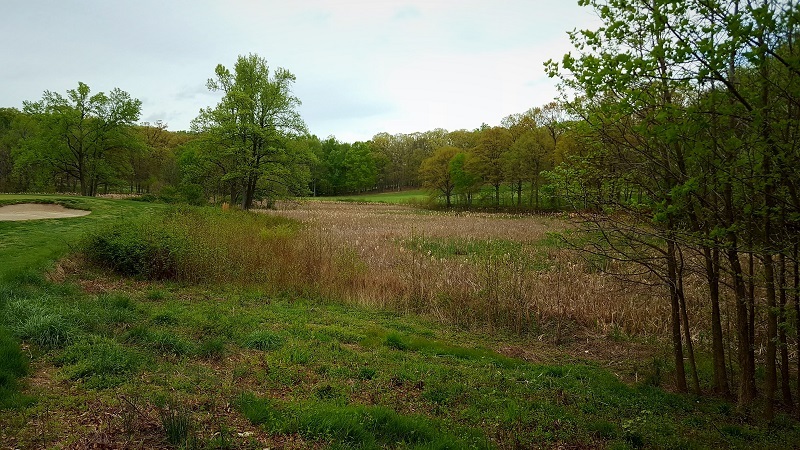 Native vegetation serves as an effective riparian buffer for wetlands. Photo credit: Joseph Roberts.